Moving to a different country is definitely a transformative experience (duh). All of a sudden I realized that back in Brazil I would eat rice and beans at least four times a week and I had never taken notice of it before. I realized that here there is no cheese-bread available for an afternoon snack when you go to a coffee place. I realized that in England they have five different ways of naming coffee with milk, all of them, however, have the exact amount of coffee and different amounts of milk and – surprise, surprise – this amount of coffee is generally small and not strong enough. When you are away, you start noticing the things that connect you with where you come from. No matter how much Benedict Anderson or Benjamin Barber I read… I might rationalize it as being a construction that we call a national identity as much as I want it… But I still feel connected to what I once described as the “imagined community of rice and beans eaters, caipirinha drinkers and cheese bread makers”. Moving to a different country makes us start to notice and miss the things that make us feel comfortable. I miss the street signs that I can easily decipher, I miss kissing people on the cheek when I meet them, I miss writing emails in Portuguese and starting with “Hi how are you doing?” – “Oi fulana, tudo bem?” – and ending with “hug” – “abs”. Brazilians are a complicated entity. We come from all over the place, we have a gigantic diversity of cultures – that is often not recognized – there is an absurd inequality, racism and the political situation is in a critical state. I think that football players need to chill when they claim that they want to win the cup to unify the country – who died and made them responsible for the happiness of 200 million people? In the words of our national team’s right back Dani Alves: “The group wants us to unite once and for all, and become a united nation” – Daniel Alves, 2018. But I also think that some of the fondest memories I have of my country have to do with the World Cup. I wish I was watching the games with my family, I miss the TV commentators – “Haja coracao” > “Siga la pelota” – I miss having my friends over, I miss having popcorn and cheese bread, I miss everyone stopping whatever they are doing to go home and watch the match. I miss the car horns on the streets. I miss the little flags hanging out of the car windows, I miss people screaming at each other “vai Brasil!”. I miss the stupidly cold beer, I miss the carrot cakes and the polenta cakes that I make every year. 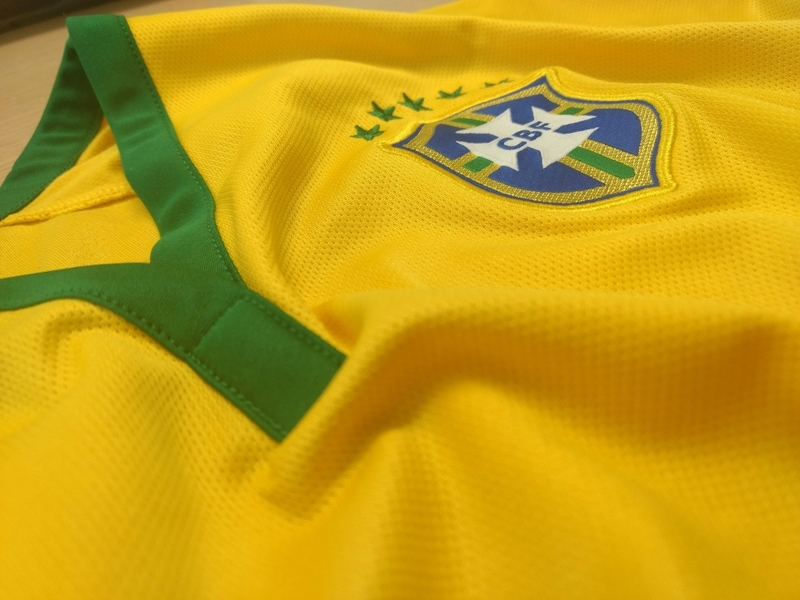 I miss everyone wearing yellow down the streets and the song that the television plays after every goal we score – Eu sei que vou… Brasil-sil-sil! I miss not being questioned on why it is that I am wearing my country’s jersey all day on a match day. I even miss the advertising pieces that manage to convince us year after year that winning this is an attainable dream – don’t even get me started on what happened in 2014. I cannot complain about watching the games in London though. At LSE two pubs are screening all the matches and yesterday the Three Tuns was split between a group of Mexican supporters and us Brazilians. It was a lot of fun. They were much louder, but only until we scored the second goal. The British people live football in a very intense way, watching England play at a pub is definitely an experience of a lifetime. 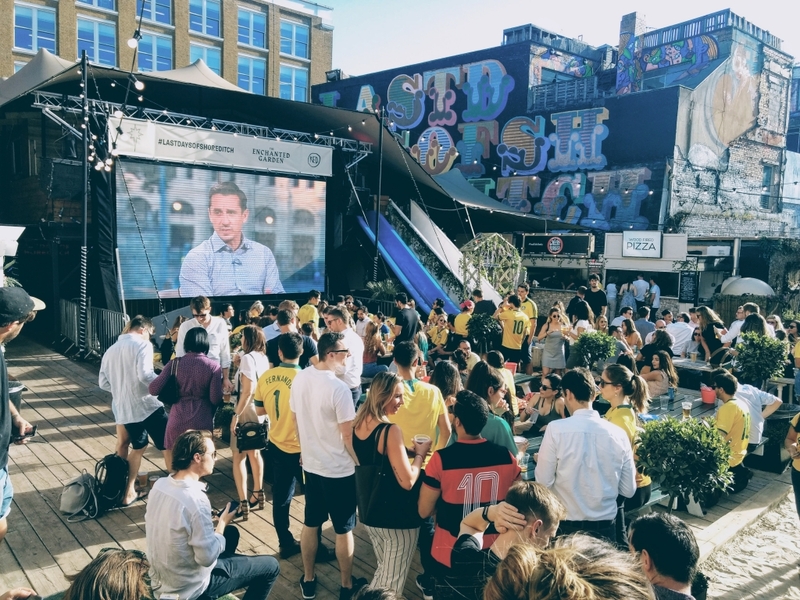 I also joined a group of Brazilians in the open-air screen at The Last Days of Shoreditch to watch Neymar rolling down the pitch against Serbia. 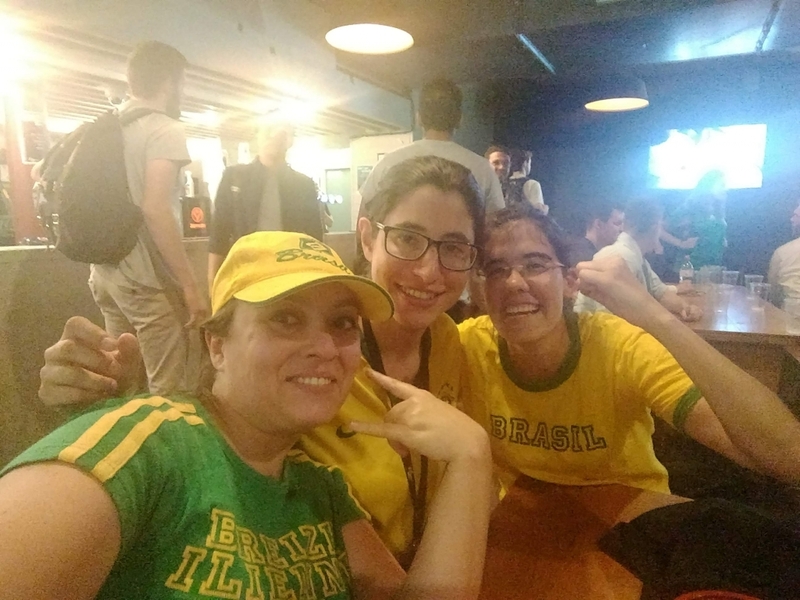 I will be home for the hexa (sixth world cup win), if only in my dreams – maybe in my dreams, I cannot tell right now, the last two matches were pretty consistent though. UPDATE: Following today’s match against Colombia, I must say that I completely feel the Cup Feels. After watching the game eating Peruvian food – and here is me grieving that now that food wise Colombia is much better than England – I was walking surrounded by English fans, it was thrilling and slightly scary. The whole “Football is Coming Home” thing is definitely charming.